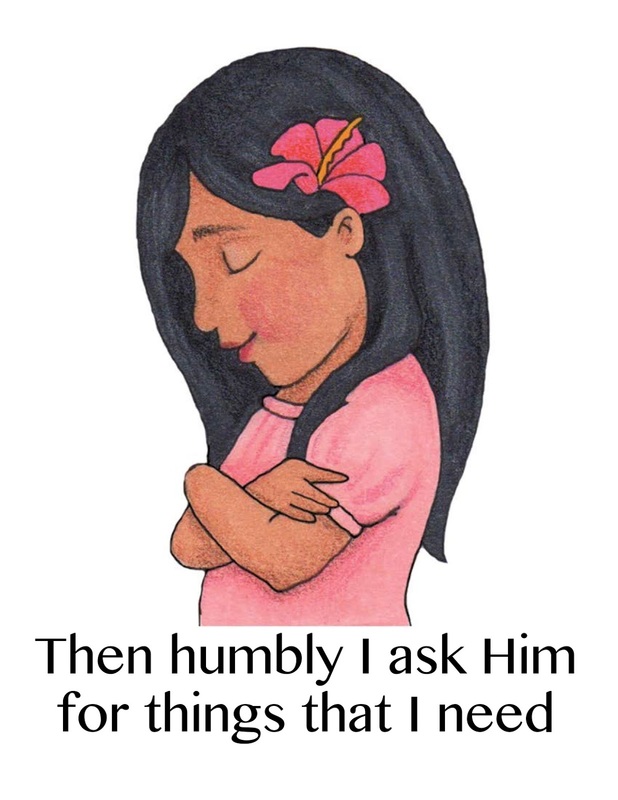 I thought we'd quickly learn this song this week, along with reviewing A Child's Prayer (find my lesson plan HERE). Both songs have the similar 2-part, are familiar, and easy. We'll spend half the time on each song. 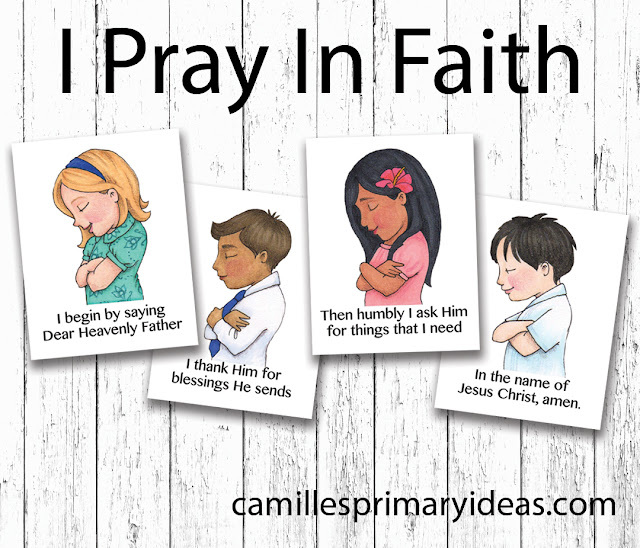 For A Child's Prayer, I'll just have the flipchart pages out of order on the chalkboard and we'll work on putting them up correctly, then singing. Then as an attention getter for I Pray In Faith, I'll quickly give this explanation from the January 2007 Friend HERE: "Tell the children that the first part of the song talks about praying in faith, and the second part of the song explains how to pray. While we want to pray correctly, it is more important to pray with faith. 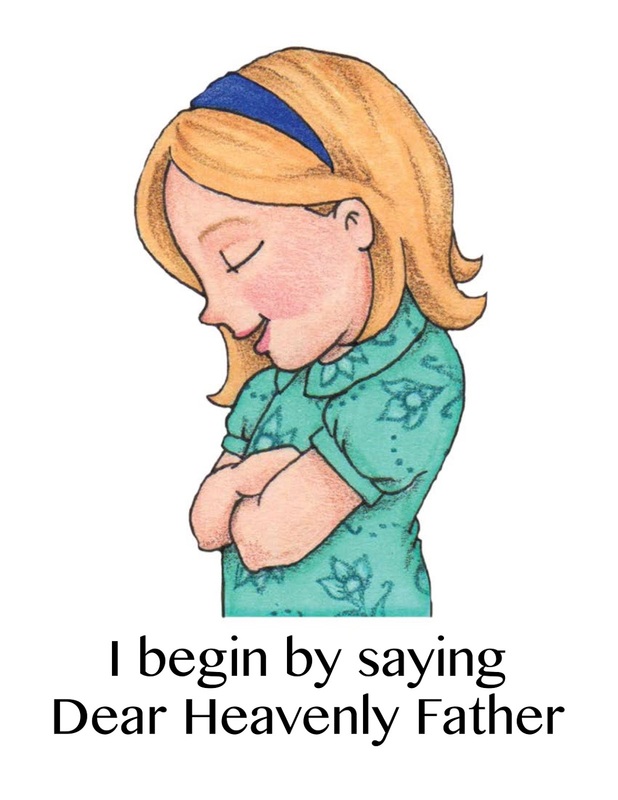 Explain that Joseph Smith did not know exactly how to pray, but he prayed with faith, and Heavenly Father answered his prayer. Bear witness of Joseph Smith and the power of prayer." 4. 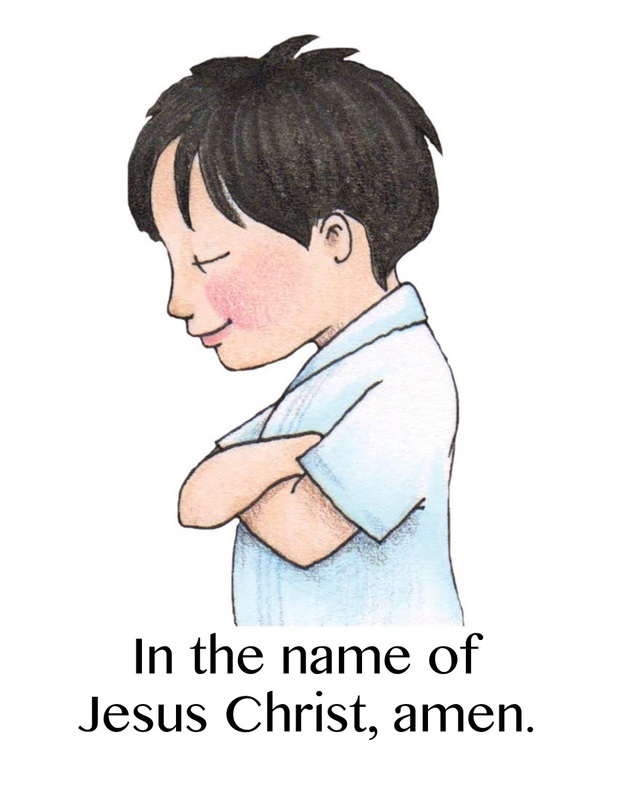 In the name of Jesus Christ, Amen. Download them HERE. 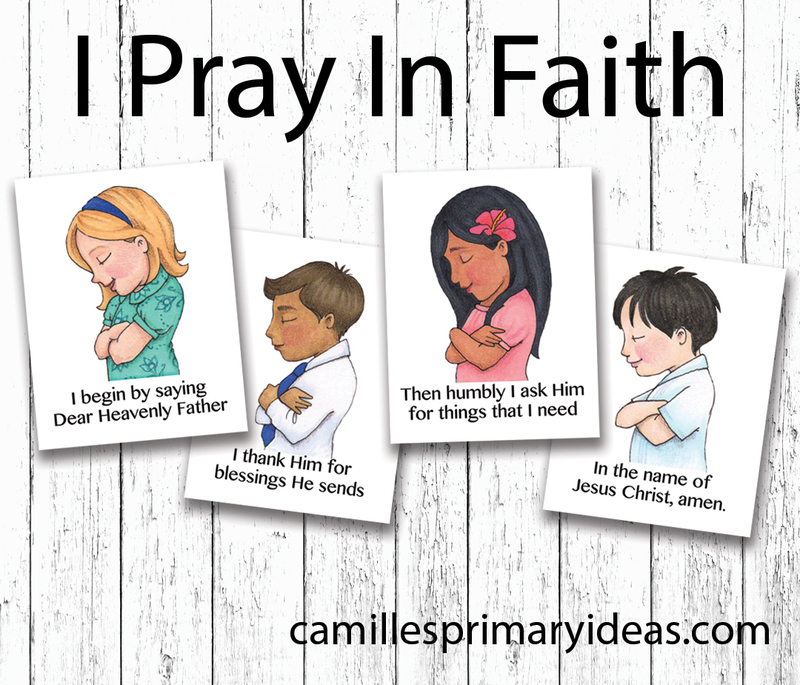 Print on white card stock and laminate or place in sheet protectors. Next week we'll work on singing the different parts together using my Practicing Parts lesson plan HERE.